Embarking on a Life Of Fred journey is like stepping into the mind of a 5-year-old. Granted, he’s an incredibly intelligent 5-year-old, but a 5-year-old, none-the-less. Five-year-old minds have a tendency to jump from one thing to another. They don’t look at life and compartmentalize subjects. Everything is learning. Math, science, grammar, spelling, history, geography…why separate them? Fred doesn’t and neither should you. Life Of Fred is like no other math program out there. This math book series is known for weaving math concepts into exciting stories about a 5-year-old math genius. The author has tossed in some valuable lessons that kids wouldn’t typically find in a math textbook. 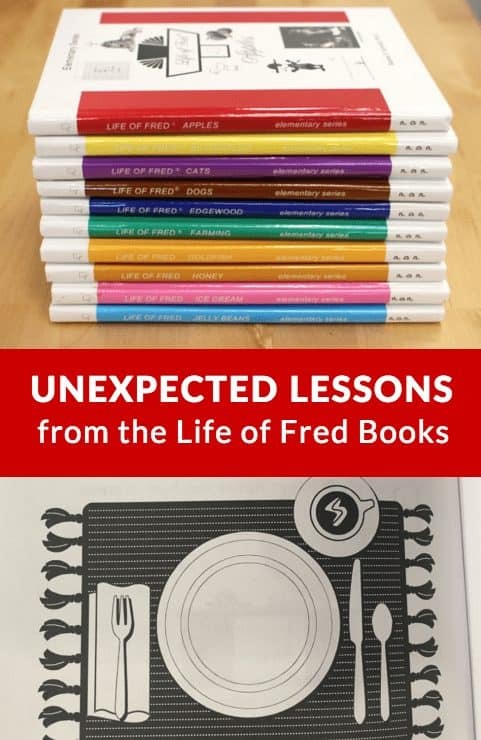 It’s true that the Fred books are full of unexpected lessons beyond math concepts. 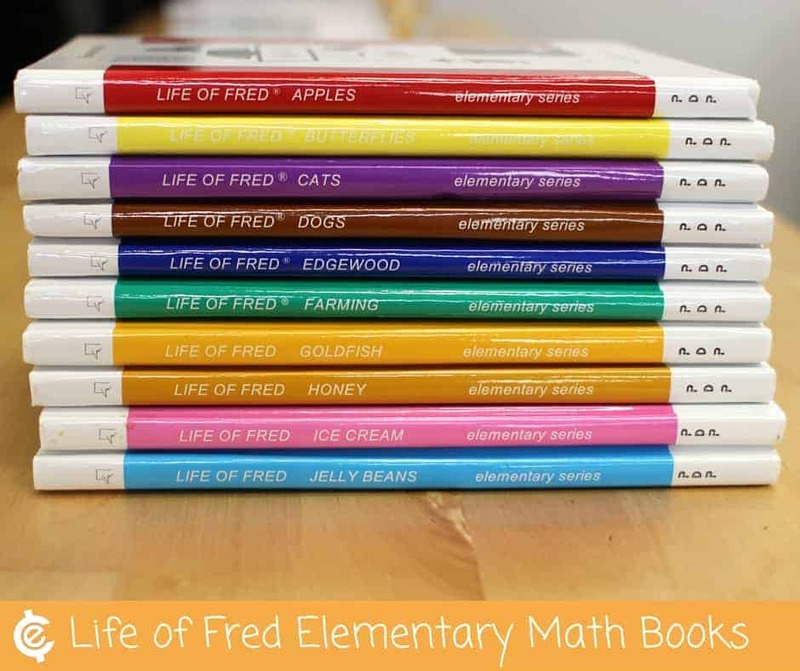 Here are a few of our favorite unexpected lessons from the Life of Fred Elementary Math Series. In the Butterflies book, students will learn linear measurements, time, geometry, and specific numbers. Then the plate and the napkin. Then the fork on top of the napkin. Knife and spoon on the right with the knife next to the plate. The cup above the knife. 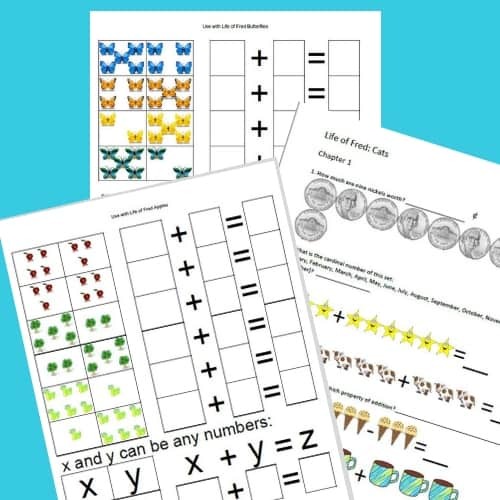 One page later, your child receives practice sheets for addition and subtraction! In the Edgewood book, students work with concurrent lines, the commutative law of addition, touch on quadrilateral shapes, and more! The materials covered in this 128-page book are parallel lines, right angles, functions, quarter of an hour, half-dozen, six examples of functions, math poems, the four kinds of sentences, firearm safety & more. In Chapter Fourteen, “Food and Warmth,” your student reviews how to calculate half of a number, measurement of distance, counting calories in a meal, and the phases of the moon. Fred’s bus breaks down outside of town, and he was determined to run to town to get help. It was 6 p.m., and Fred did not want to run in the dark. Maybe there will be a full moon, Fred thought. Then there would be enough light to keep on running. In the next chapter of Edgewood, Fred explains the meaning of voluntary and involuntary actions. How does he fit all of these lessons together to create a funny math story? You just have to read the book and find out! 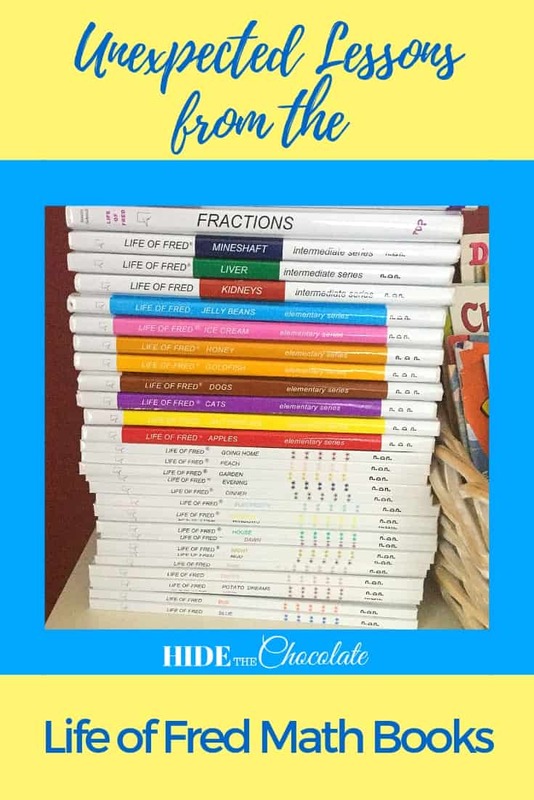 In the Honey book, students work on fun math activities with Fred as he goes through fractions, multiplication facts, unit conversions and more. Perhaps your child hasn’t thought about starting their own business yet, but it’s never too soon to spark the idea to become an entrepreneur. In Chapter Fourteen, “Starting a Business,” Kingie puts on his businessman hat. (Fun Fact: Kingie sells his art.) Kingie explains the risks of starting your own business. He then goes over the “Checklist for Starting a Business” with Fred. Get your free Printables for Life of Fred Apples, Butterflies and Cats by subscribing below. Current subscribers can find these in the Chocolate Closet. « Game of the Week: Bank It! Thanks! I agree about traditionally schooled children benefitting. In fact, a friend of mine borrowed our Beginning Algebra for her daughter this year in high school. I have thought about using these as an added “fun” practice to go along with our math. I think my middle son (my voracious reader) would really enjoy them. We really enjoy them. My girls think Fred is funny and cute. I like the way he teaches. Their problem solving abilities have increased since we started using Fred. Thanks for joining us at the #LMMLinkup. That’s amazing about your best in show cupcakes. My kids would love to win one of those ribbons but have not yet!